If you follow DD on social media you might see that we host weekly bag tag challenges here in Emporia. For some seasoned players, it’s an idea that has been implemented at some point during their disc golf career, yet for others, it’s a newer concept that isn’t totally clear. In an effort to encourage everyone to explore the benefits of a bag tag event in your hometown, we’ve put together a quick “how to” that outlines the purpose and logistics of these leagues. As always, you can put your own spin on things as you see fit. Bag tag events are great ways to bring together your local disc golf community in a fun and potentially competitive atmosphere. Whoever is organizing the event will need to purchase bag tags (more on that later) and is typically responsible for promotion on social media. In order for your bag tag challenges to be successful, you’ll need a reasonably good turnout, so be sure to hit up Facebook and use word of mouth liberally. Each participating player will pay a set amount to receive their tag, and depending on how prestigious the league is, could range anywhere from $5 to over $100. Your tag will have a number on it and they are distributed sequentially on a first come first serve basis. The specific logistics of a bag tag event can vary, but typically the organizer will set a recurring event at the same course each time. Anyone who wants to can show up and plays their round to the best of their ability. Once everyone is done, tags will be reissued based upon your performance so you may end up leaving with a higher or lower tag number than you started with. People always want to know where their money goes, and rightfully so. Again, these details will be different at leagues throughout the country, but most groups tend to stick to a handful of funding scenarios. You may find that some of the money you pay for your tag goes toward a big trophy for the winner at an end of year competition or there may be a huge ace pot available for anyone to hit. 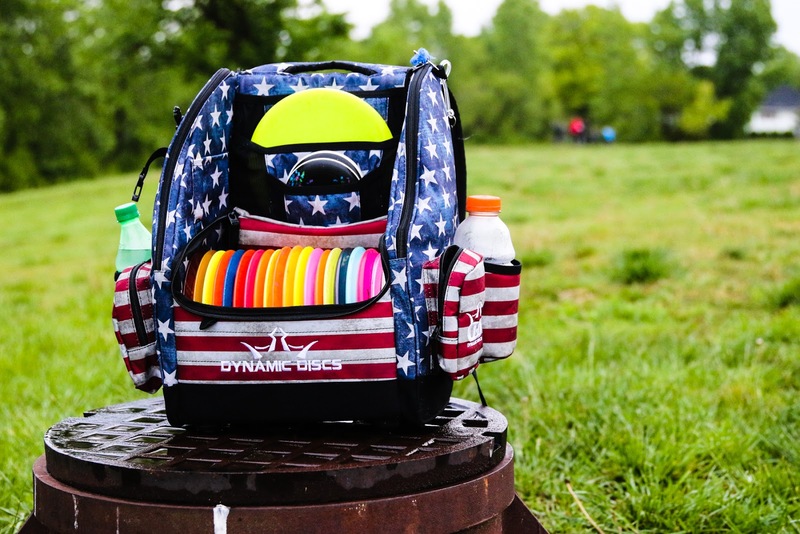 Some groups might focus on putting the cash back into the course because as we all know, upgrading 18 disc golf baskets can cost a pretty penny. Perhaps the one remaining question comes down to this: where do you actually buy bag tags for your league? We’re glad you asked because the set of custom services here at DD has everything you need to get started. From bag tags with your league’s logo to custom DyeMax discs that can be used as trophies, the options are endless. The next time you find yourself wishing that you had the opportunity to play more disc golf, consider starting your own bag tag league with some friends. Who knows, maybe your event will be so popular that the number 1 tag becomes more precious than gold.